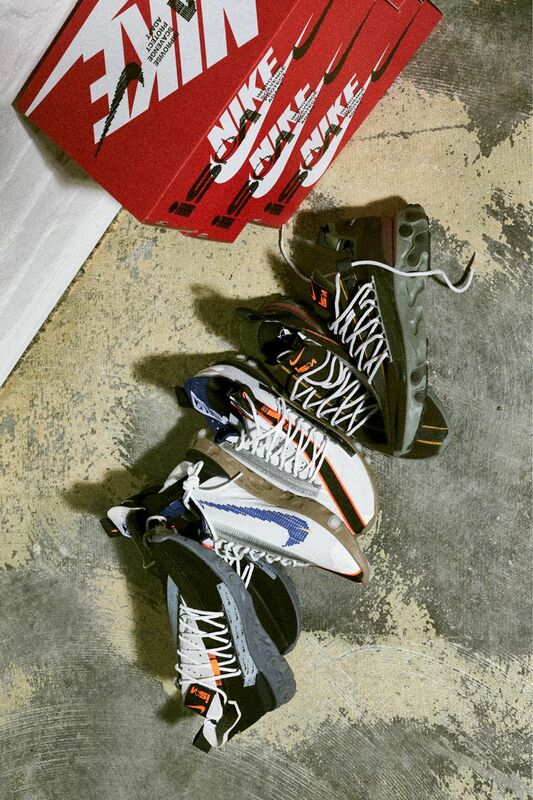 Nike designers are constantly creating products inspired by athletes of all levels. Last year, the Fuel Footwear Innovation team decided to pick a more abstract muse—unexpected circumstances in the form of weather, activity or otherwise. 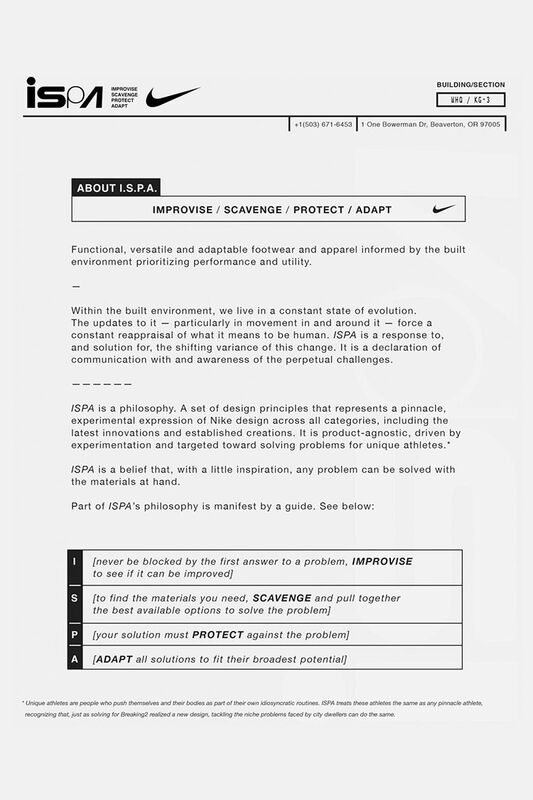 With that in mind, they developed a philosophy and set of design principles, titled iSPA, which stands for Improvise, Scavenge, Protect and Adapt. The new philosophy offered a unique way of creating and problem solving. 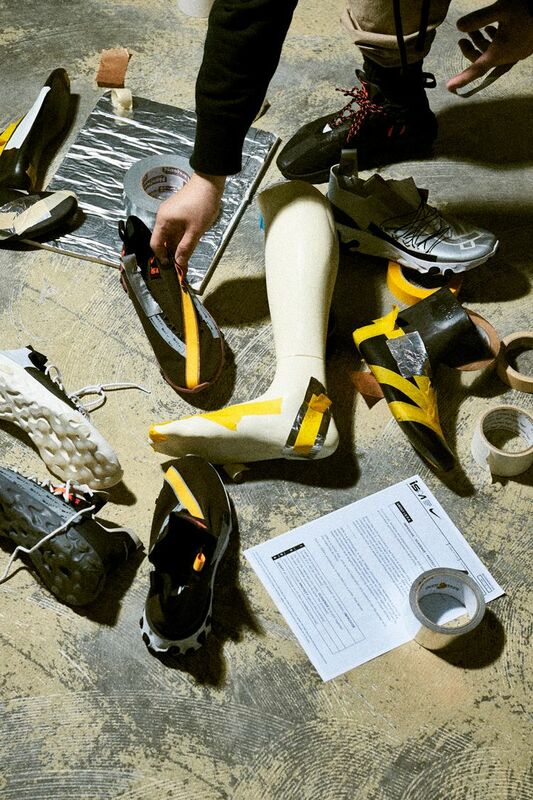 "It was this moment of realisation where we started to understand the process in which we were working across many different functions at Nike", explained designer Darryl Matthews. "We were scavenging existing innovations and ideas and pulling them into our category". 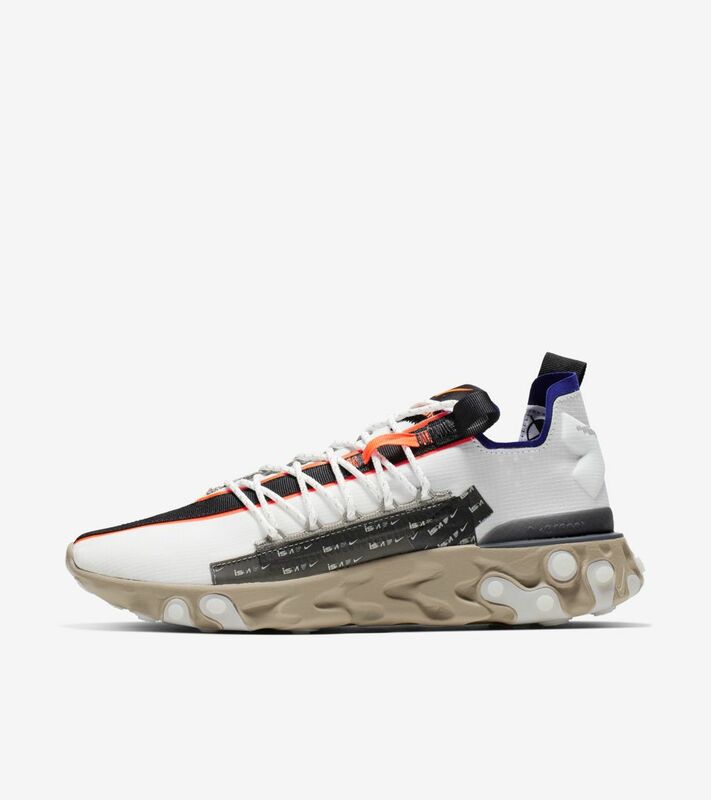 The first release, the Nike REACT LW WR Mid iSPA, combined a lightweight, four-way-stretch and water-resistant upper inspired by the LunarTerra Arktos, with the sole of the Nike React Element 87. Though it was designed with extreme change in mind, the idea of equipping a big-city dweller eventually became the emphasis. 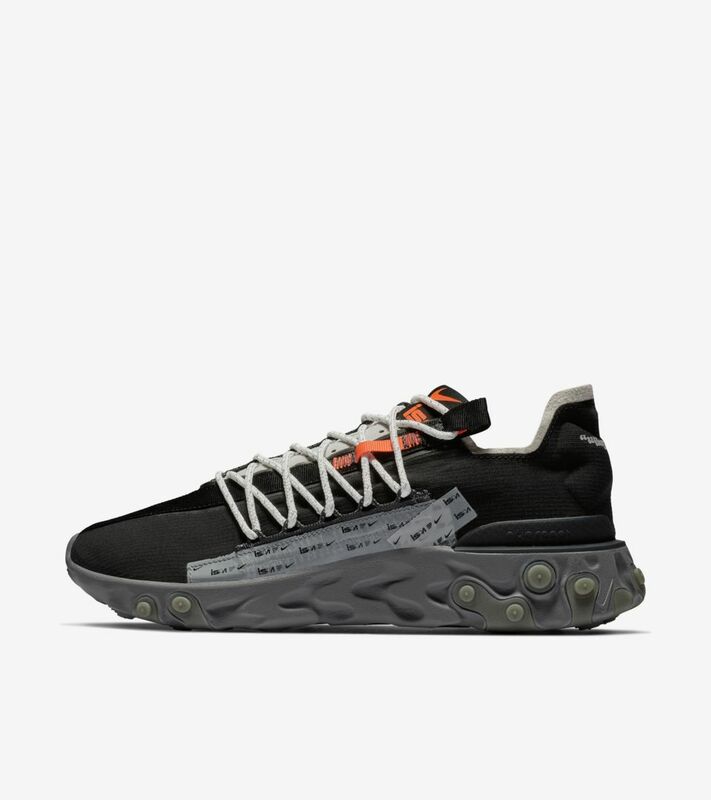 While the original iSPA shoe had a mid height, the new low version offers a simplified take. Designed by Erick Ikeda, he was inspired by one of the most extreme emergencies ever. "I remember Apollo 13, and that led to the situation with duct tape saving their lives to be able to seal off the CO2 canisters, so they could continue to breathe and live a few more days in outer space", he shared. This improvisation through duct tape influenced Ikeda's approach for the tape-like upper on the iSPA React WR Low. Leveraging the flattest surface of the foot, its laces taper more to the lateral side to create a better fit. Additionally, it has tape-like "bandages" inside the shoe to provide lockdown and heel cushioning. An imperfect Swoosh adds to the idea of quickly creating and improvising in a state of emergency. 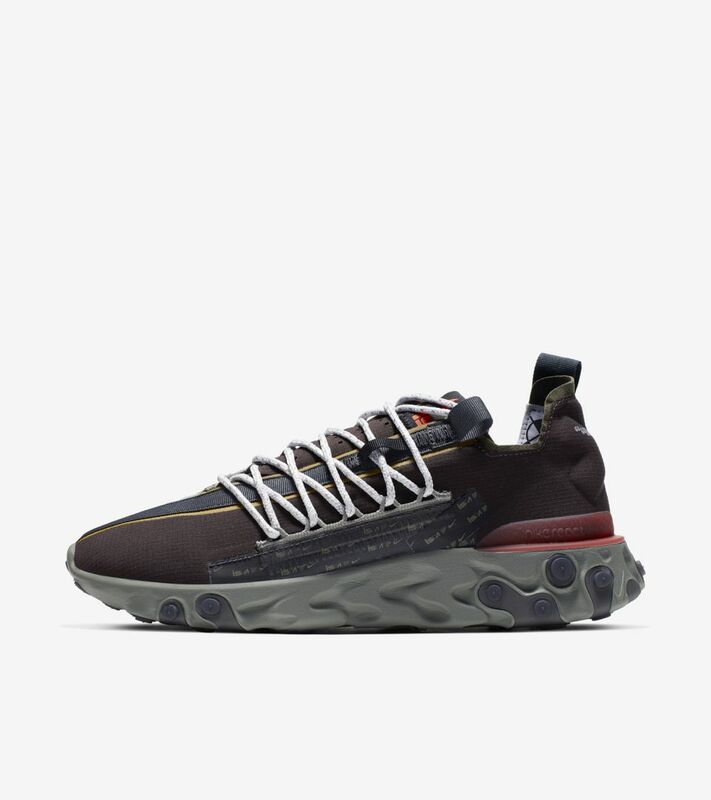 The iSPA React WR Low makes its debut in three new colourways: Velvet Brown, Summit White and Black.